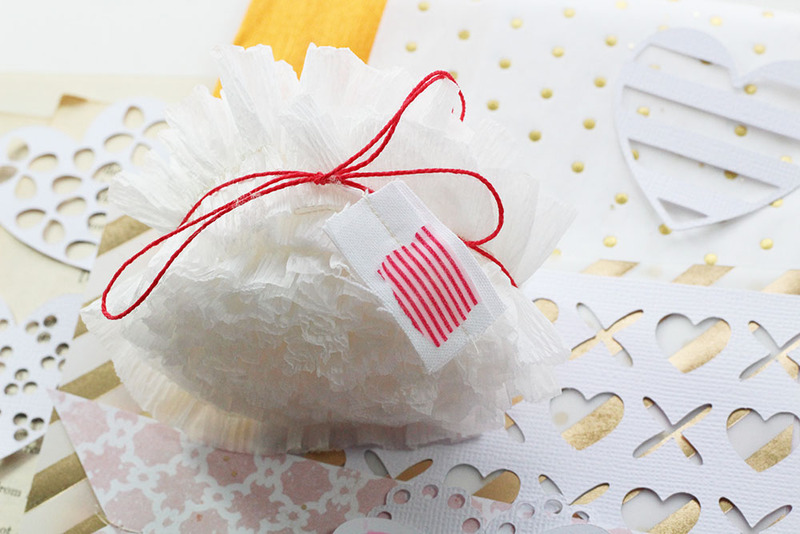 things that shine: Fresh kits and items listed! Fresh kits and items listed! We're expecting another pile of snow here in the next day or two.. and after weeks of nothing but white and well below freezing temperatures, I'm ready for something bright and lovely! 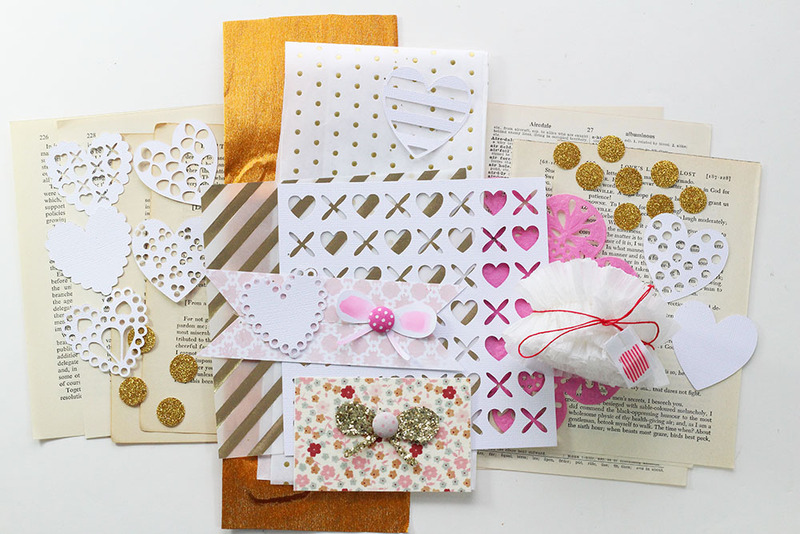 These exclusive and limited scrapbooking embellishment kits are just the answer! 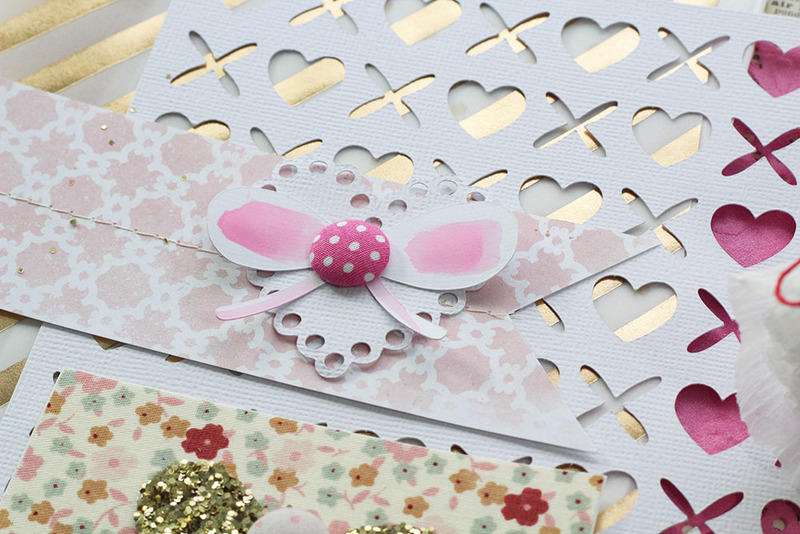 The stitched banner, die cut hearts, and watercolour bow are so delicate. 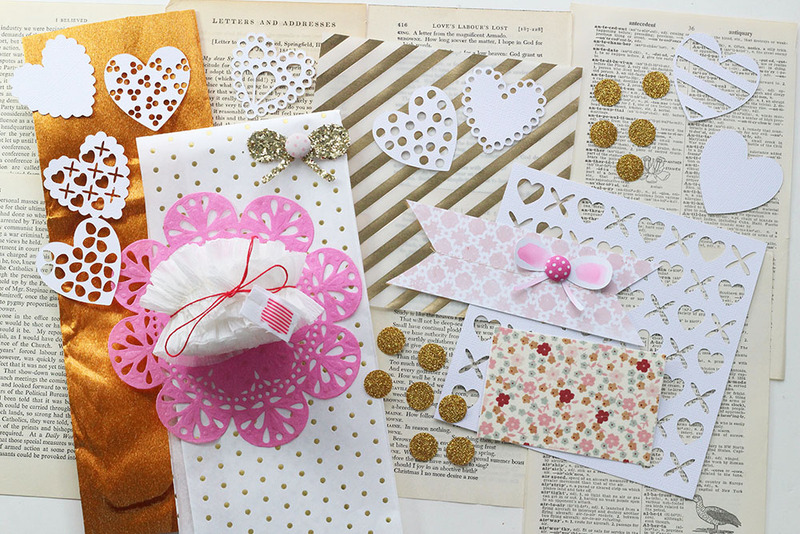 This whole set is perfect for all things pretty! 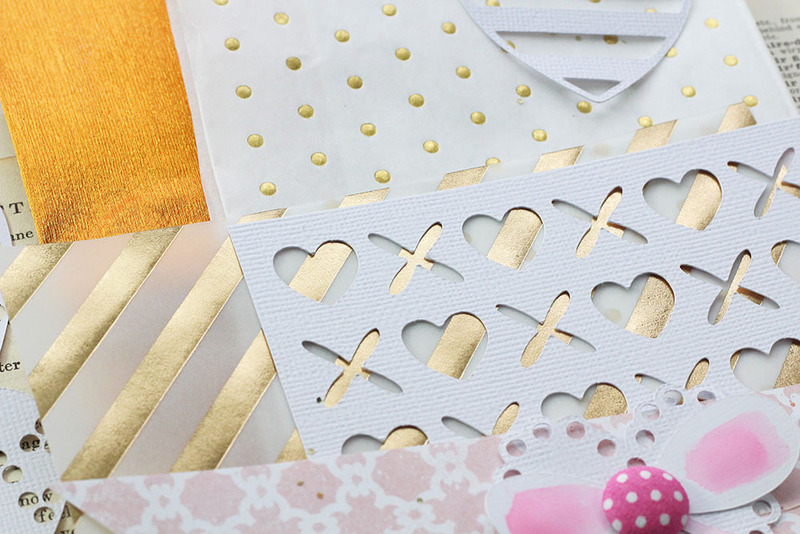 Love the way all of this gold looks together! 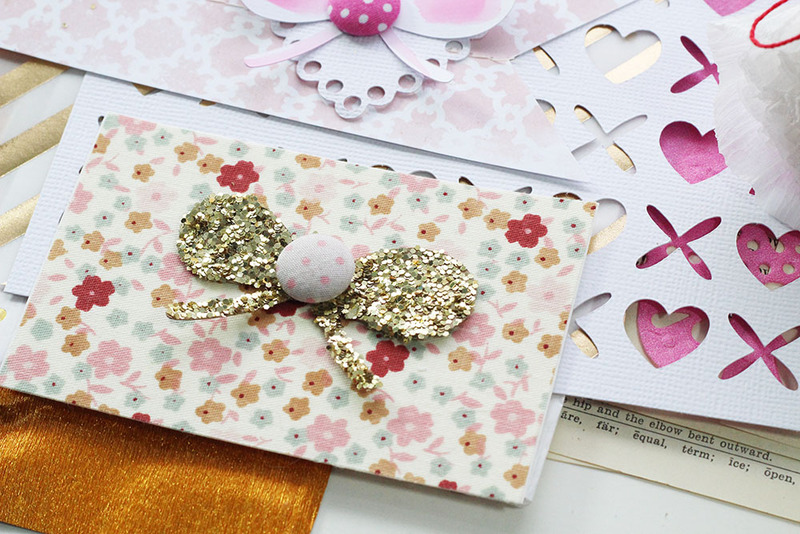 A gold glitter bow and super pretty adhesive fabric. I just love adding unique textures to my projects and pages, don't you? 1 generous yard of ruffled crepe paper. So pretty! 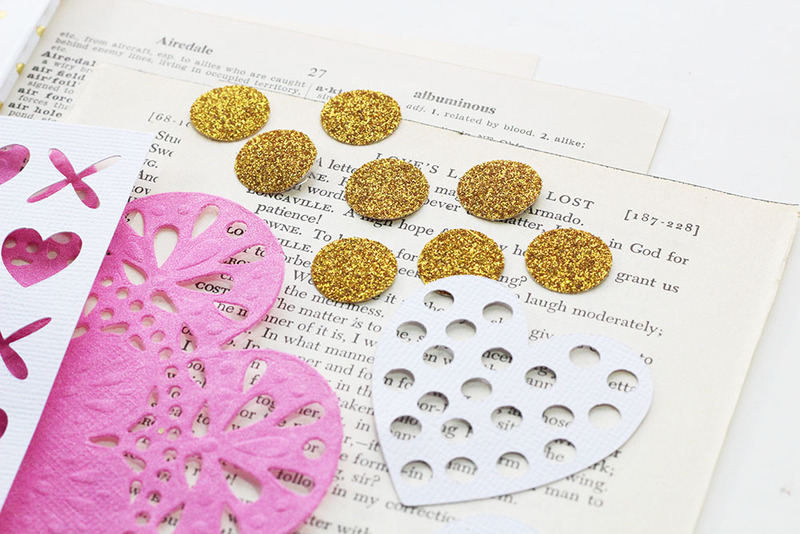 Gold glitter polka dot stickers (a set of 12). These are my current fave obsession! Check this kit and other Things That Shine out in our shop! I hope you don't get too much snow! I just wanted to thank you for the beautiful postcard you sent me for the Piles of Postcard Swap. Thanks very much!